Oil filled transformers must be used for all outdoor substation. Some indoor substations (e.g. most industrial applications) should use oil filled transformers unless contractor or the consumer specifies otherwise. 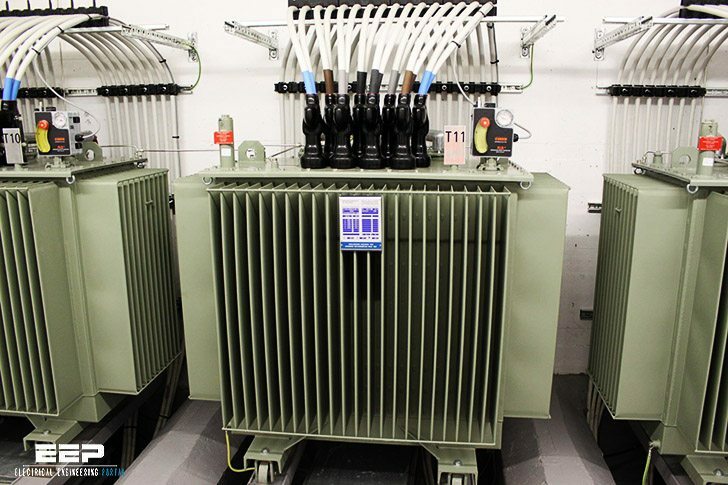 Dry type transformers should be used for indoor substations located in high rise buildings (commercial and large residential blocks) and other major buildings frequented by the public (e.g. Convention/Exhibition centres and major shopping complexes). Dry type transformers for other high fire risk applications may also be specified. Special care must be taken when selecting dry type transformers to ensure they are not overloaded. The transformer should be such as to supply the whole of the load by one transformer. However where the maximum demand exceeds 1000kVA, then provision for two transformers and associated switchgear must be allowed. Substations must provide sufficient space and ventilation to accommodate 1500kVA transformers, ensuring sufficient ventilation is provided for future load, even though smaller units may be initially installed. Oil filled transformers require an area of 2300 mm long x 1800 mm wide, and dry type transformers require an area of 2300 mm long x 1800 mm wide. Transformers must be separated from walls, ventilation equipment and other obstructions by a minimum of 900 mm. Transformers must not be directly placed under ventilation duct openings. With the exception of fire damper trip wires (if required), no item of equipment, installation or obstruction is to be placed over a designated transformer space. Natural ventilation is not adequate for indoor substations. Mechanical ventilation must be provided. 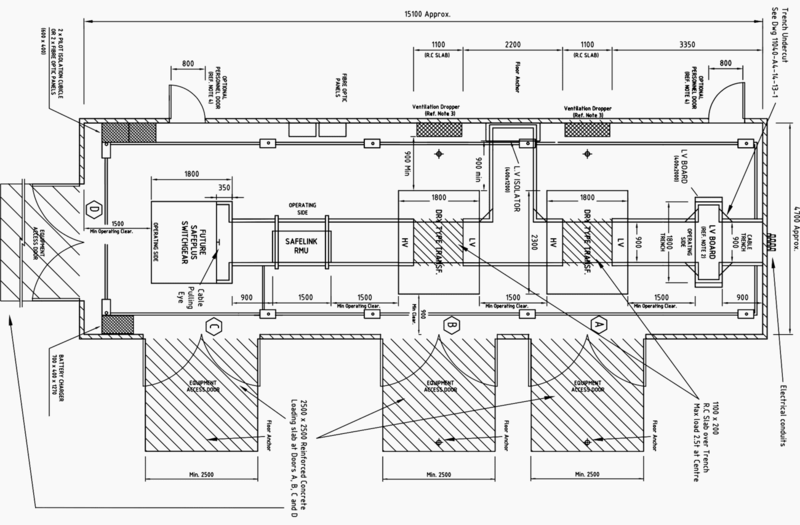 Section 10 details ventilation requirements. As a guide, one general arrangement has been provided for each style 3 of indoor substation. Provided all clearance and access requirements are maintained, other arrangements may be used. An Energex Planning Officer must approve any alternate arrangement. 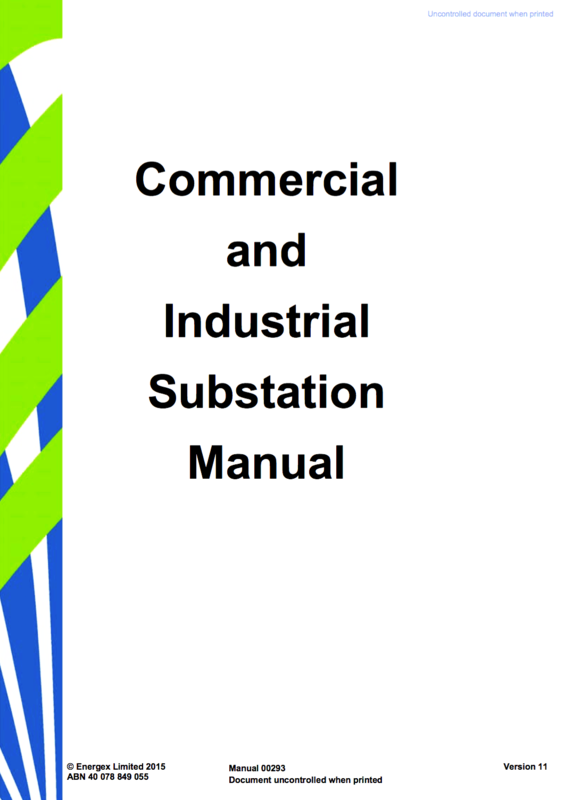 Outdoor substations must be arranged in accordance with the standard layouts provided. i will visit your website, i need electrical substation for our shopping mall. our capacity : 4000 kva, set up out site of shopping mall. my we chat no. +8801711107560 , please send me substation Details with price offer. The photo seems odd as there are no fire wall separators. Which country is this?